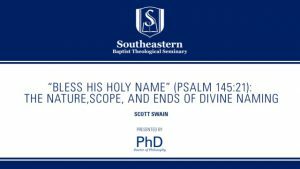 Scott Swain, President and James Woodrow Hassell Professor of Systematic Theology, lectures on systematic theology. 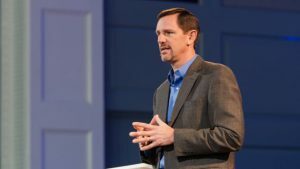 Paul Chitwood, President of the International Mission Board, preaches on Isaiah 56:1-8 on how we are here not to serve ourselves, but to serve those enslaved to their sin and idolatry all around the world. We are here to proclaim freedom in Jesus! 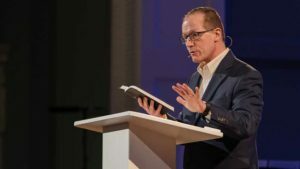 Chuck Quarles, Charles Page Chair of Biblical Theology, preaches on Colossians 1:15-20 and passionately proclaims that the central confession of true Christianity is that Jesus is fully God and fully man. 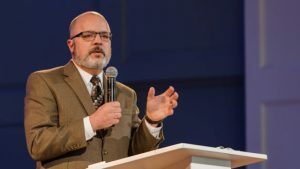 Chuck Lawless, Vice President for Spiritual Formation and Ministry Centers, preaches on Psalms 42 & 43 about longing for God in times of despair as a follower of Jesus. 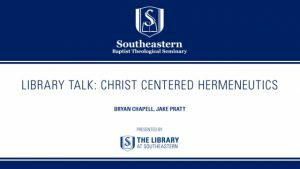 Bryan Chapell, Senior Pastor of Grace Presbyterian Church in Peoria, Illinois, and Jake Pratt, Assistant Professor of New Testament and Hermeneutics, discuss issues related to Christ Centered or Christo-Centric Hermeneutics at the Library at Southeastern. 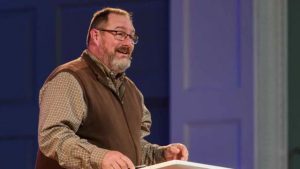 Marty Jacumin, Senior Pastor of Bayleaf Baptist Church in Raleigh, North Carolina, preaches on Acts 1:1-14 about the Commission of the Church. 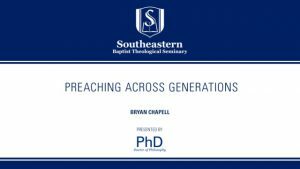 Bryan Chapell, Senior Pastor of Grace Presbyterian Church in Peoria, IL, presents a lecture on “Preaching Across Generations” as part of the 2019 Ph.D. Colloquium Series. Panel discussing how our identity in Christ compels us to GO now. This Panel describes pathways to GO and engage in the mission of God right now and in your current context. 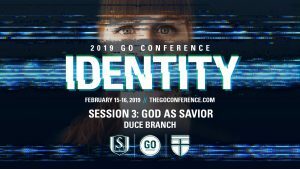 Duce Branch, Assistant Professor of Preaching at The College at Southeastern, preaches on God as Savior during Session 3 of GO Conference 2019.